Specialty: Choose 2: Naruto Skills: Taijutsu, Ninjutsu, Genjutsu, Kenjutsu [Sword], Medical Arts, Puppeteer, Chakra Attuned [Controlling your Chakra], Weaponry [Much Like Tenten], or Elementalist, or Kekke Genkai. 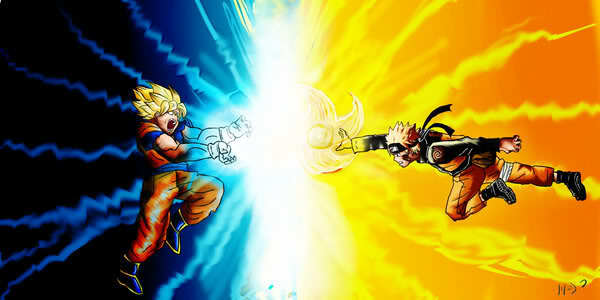 History: At birth, Goku had a battle power of 2, while Broli was born with the astonishing level of 10,000. This is an unheard of high level of strength, especially for a newly born Saiyan infant, considering that Raditz, who was an average low level adult Saiyan warrior, had a power level of over 1,200 (1,500 in Daizenshū #7) in his first appearance and Nappa and Saiyan elite, had a power level of 4,000. Broli's exceptional gifts marked him as a mutant, possibly even as the Legendary Super Saiyan. King Vegeta feared the boy and what he might come to be, and gave the order for the infant's execution. Broli's father Paragus begged the king to spare the life of his son, arguing that the powerful Saiyan infant could be an aid to the king's son, the young prince Vegeta. King Vegeta pointed out that the child could actually become powerful enough to overthrow the prince, and ended the argument by sentencing Paragus to death as well, shooting him with a ki blast. Up until this time since birth, Broli was noticeably disturbed by Goku, who was crying incessantly in the adjoining infant pod. From then on, Broli would hold a subconscious hatred against Goku all throughout his life. His troubles would only double, as young Broli's execution was carried out, being stabbed through the stomach with a dagger. Both he and his father were thrown in a trench and left to die. While Paragus was severely wounded yet conscious, Broli survived the attempted execution only to grow stronger from the Saiyan ability to recover and increase greatly in strength from cases of near-death. Later on that same day, Freeza acts on his own fear of the Super Saiyan legend and attacks Planet Vegeta, killing King Vegeta along with the Saiyans' planet. Amid the destruction, Broli sensed the danger and encased himself in a powerful protective shield of ki, grabbing his father and flying him to safety. As the planet was destroyed, the two of them were able to escape without harm. As Broli grew to adulthood, Paragus realized all was not well. As astonishing as the boy's level of power was, his mental and emotional instability were even greater. Paragus lost whatever influence he might have had over his son. Fearing for his own safety, and believing Broli would destroy world after world if left to his own strength, Paragus had a scientist create a special control device to keep Broli under restraint. Successful at controlling Broli in this manner, Paragus initiates a plan to rekindle Saiyan dominance, plotting to use Earth as a base of operations and have revenge on the only son of King Vegeta. When first seen Broli appears to be a low-level Saiyan, but Paragus uses the control device to suppress Broli's powers. When Son Goku appears, however, Broli remembers his past and becomes extremely erratic, attacking Goku. During Broli's first two encounters with Goku he is brought back under control by Paragus. Initially, Paragus was able to do this with great ease, but it steadily became more difficult for Paragus to retain control over Broli. 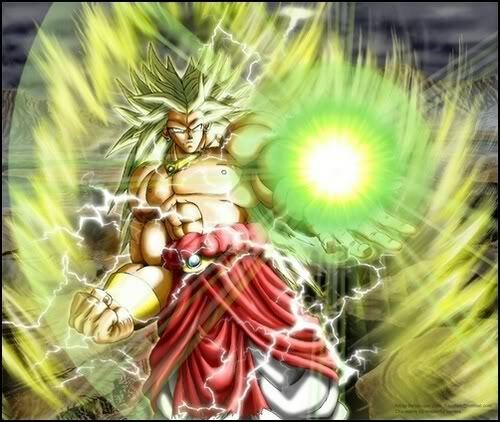 Eventually, Broli overpowered the control device, and fully manifested his powers. No longer under the device's control, he kills his own father, and unleashes a rampage on Goku, Vegeta, Gohan, Trunks, and Piccolo. He nearly defeats them all until they channeled all of their energy into Goku, who used the energy for one last powerful punch into Broli's stomach, reopening his old wound from being stabbed, that seemingly killed Broli. Broli, who managed to survive after his battle with Goku and somehow got inside a Saiyan Space Pod, coincidently landed on Earth. The impact crater caused by his landing filled up with water and froze over time, and he himself fell into a coma. While Broli was still in a coma, Gohan grew up, Goten was born and Goku had died. During an adventure to collect the Dragon Balls, Goten, Trunks, and Videl landed near the mountain range where Broli's Saiyan Space Pod crashed. Ironically Goten happens to cry within hearing distance of Broli, awaking the Saiyan from his coma in all his fury. Once awakened, Broli tried to seek his revenge on Goten, mistaking him for Goku. Despite Son Goten being Broli's main target, Trunks and Videl became victims to his brutal rampage as well until Son Gohan arrived at the scene after sensing the Legendary Super Saiyan. It was only after spiritual help from Goku and a Kamehameha wave that they were able to send Broli straight into the sun.